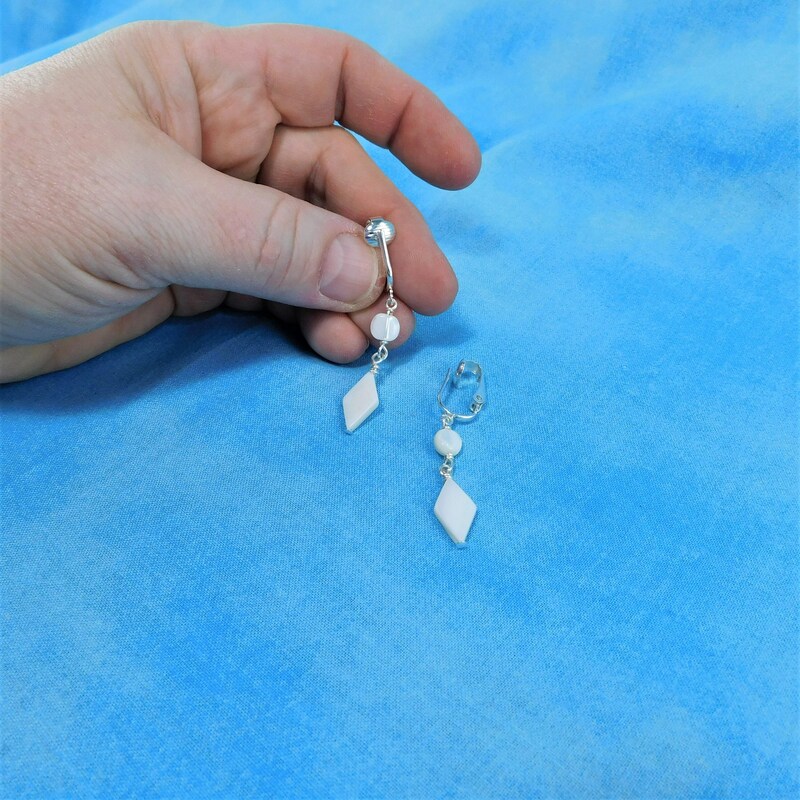 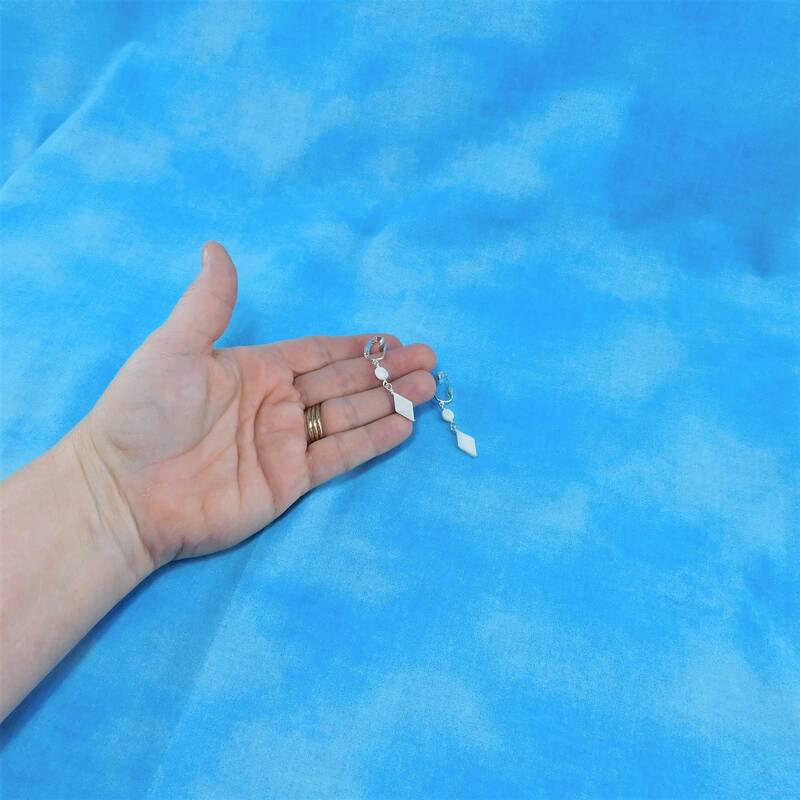 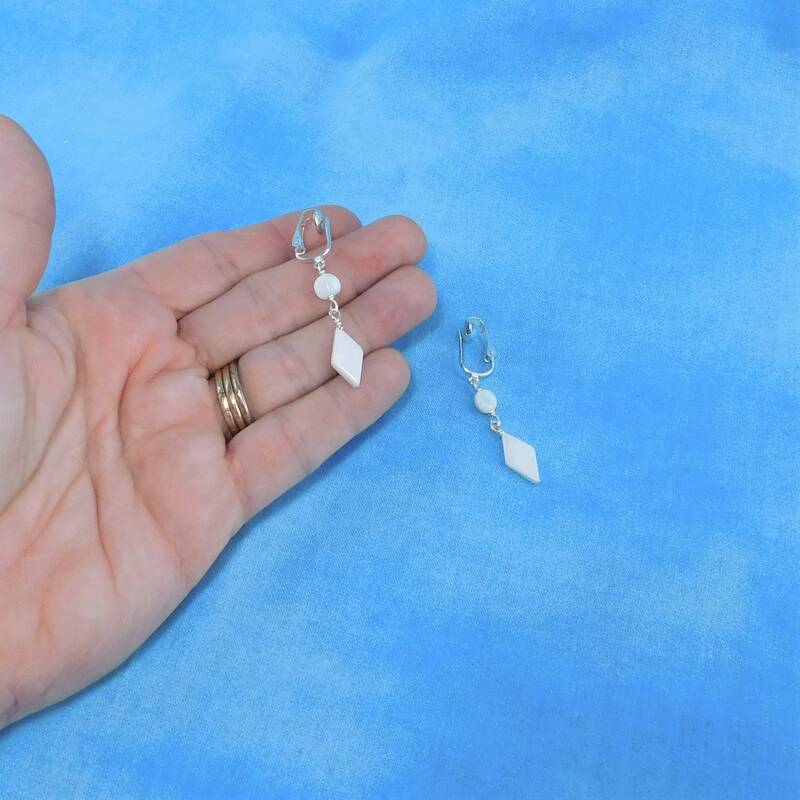 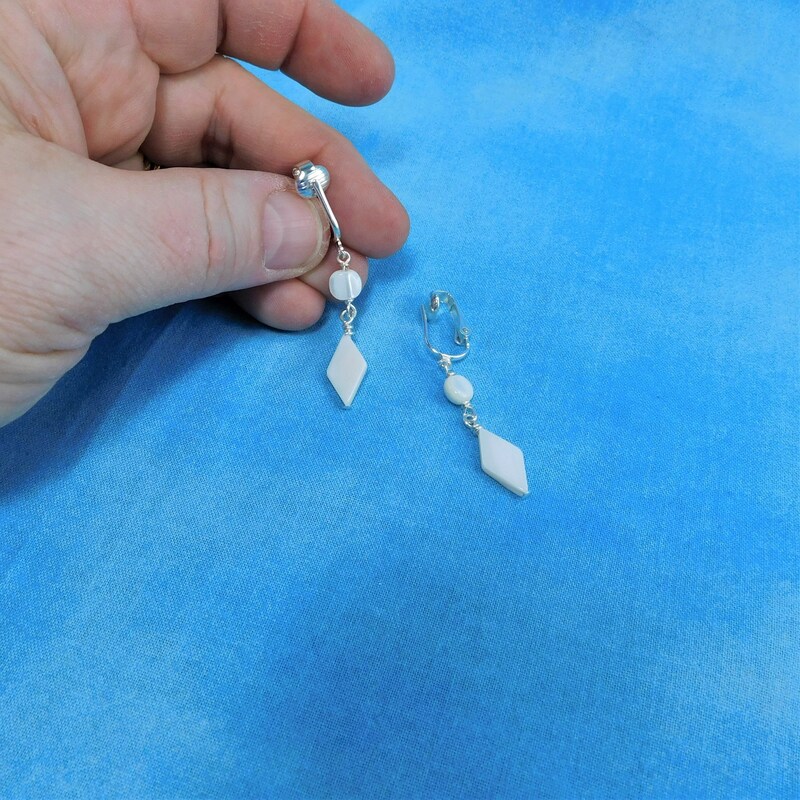 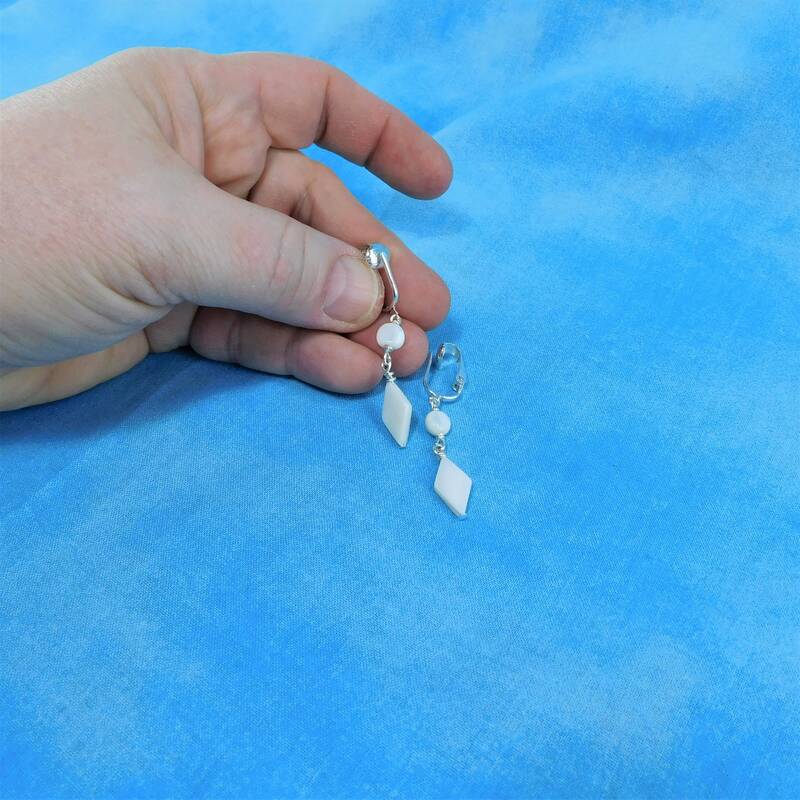 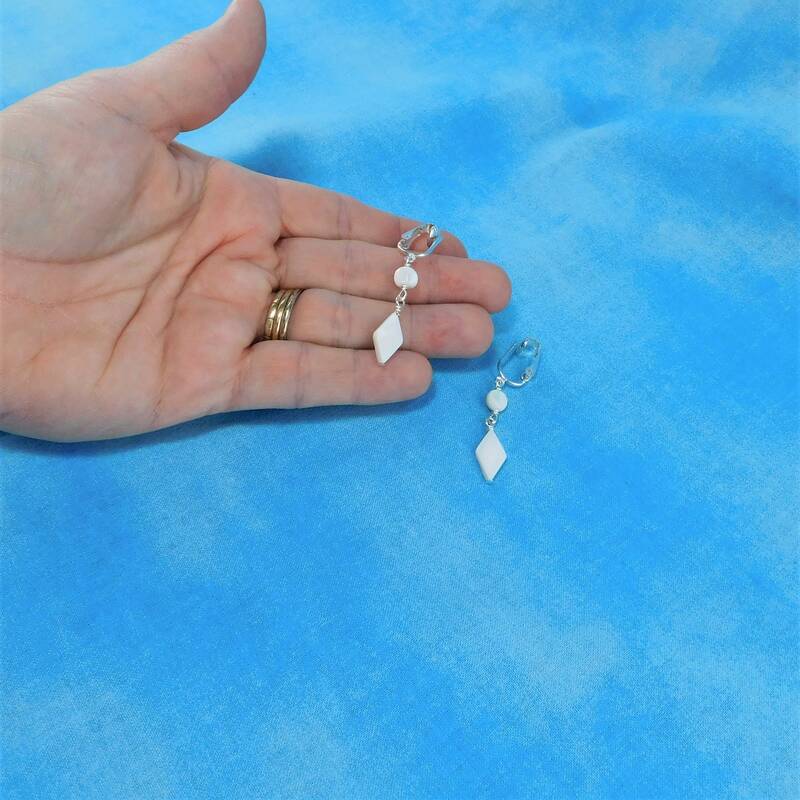 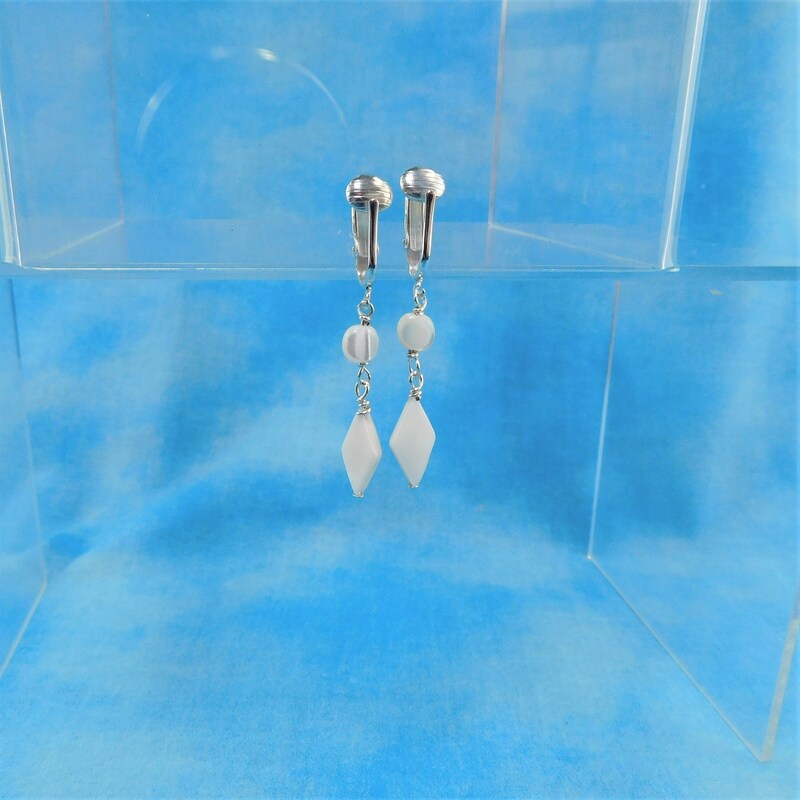 These are white mother of pearl non-pierced clip on earrings, with the look of pierced. 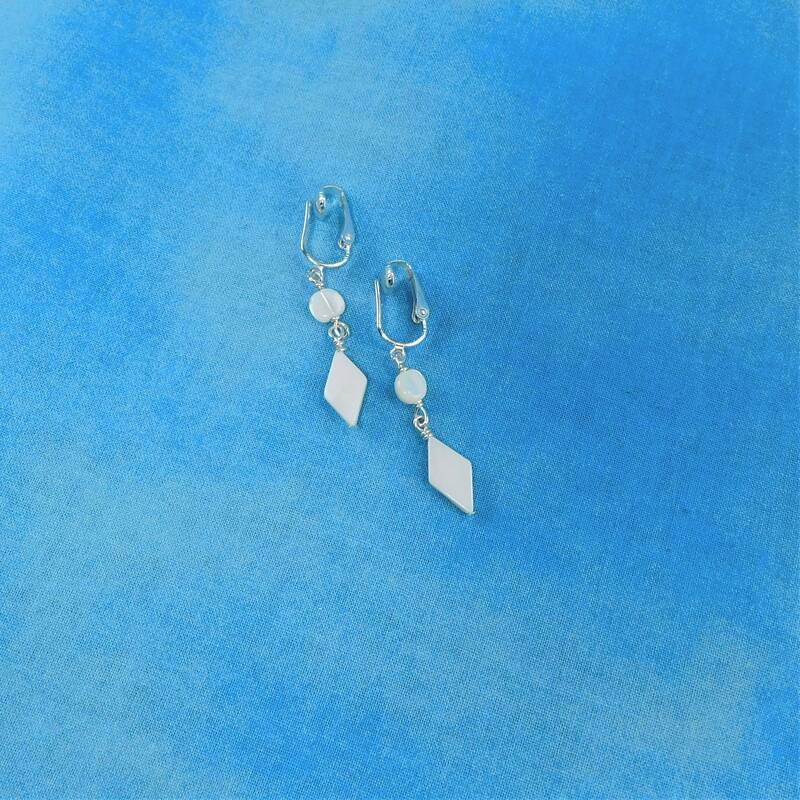 The circle and diamond combination of shapes make these dangles interesting and fun. 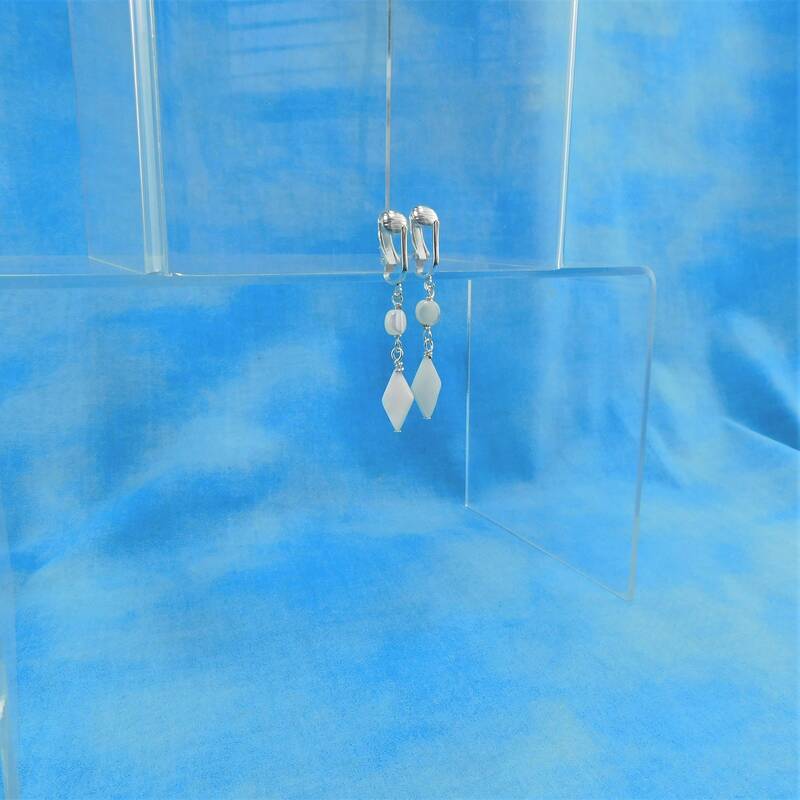 They are comfortable, light weight and easy to wear. 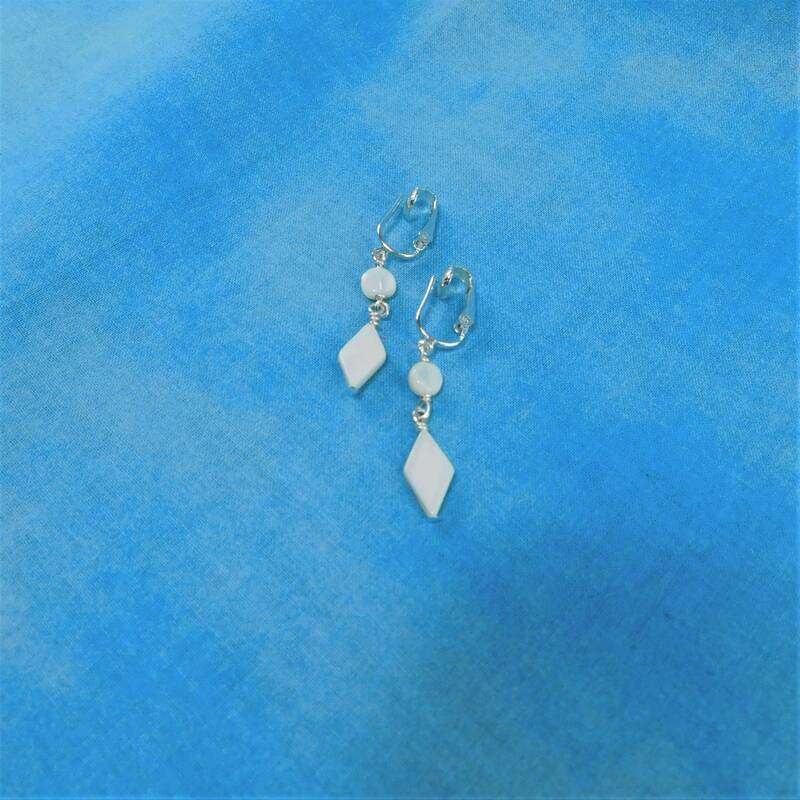 Perfect for Mother's Day Gifts, a young girl's first grown up earrings, or any occasion when fancy clip-on earrings are desired.